Since leaving the House of Commons as a Member of Parliament in 2015 John Denham has taken particular interest in the current resurgence of national identity politics right across Europe. In the United Kingdom ‘English identity’ is on the rise and is playing an increasingly significant role in British politics, especially since the EU Referendum of 2016 and Brexit. John Denham speaks with authority about the new identity politics of England, setting cultural and political developments in a comprehensive international context. As a government minister he has held portfolios for social security, health and policing during the Blair years. After a period chairing the Home Affairs Select Committee he served as Secretary of State for Innovation, Universities and Skills and then Secretary of State for Communities and Local Government. John understands the workings of government, how national and regional administration works, and why things can go wrong. Experience in government led to an interest and expertise in evidence-based policy, why academic research doesn’t influence policy sufficiently, and how government could do much better. John’s long-standing interest in the issue led to his introducing ‘impact’ into the Research Evaluation Framework. He has researched the issue extensively as a visiting professor at the LSE and has undertaken master-classes for academics. 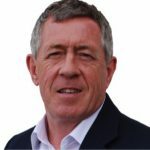 As well as a speaker John Denham is also a skilled conference and panel chair.